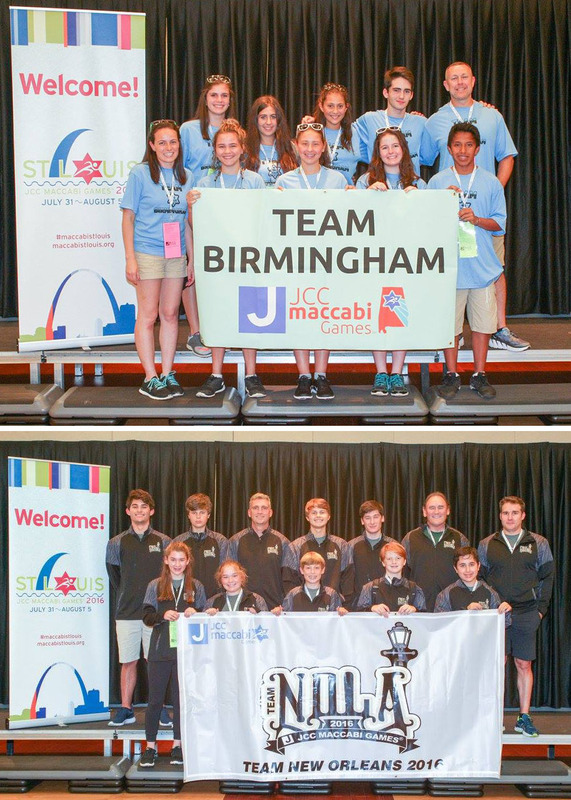 Above: Maccabi Games delegations from New Orleans and Birmingham have been competing this week in St. Louis. Birmingham will be one of the host cities for the 2017 Games. Birmingham has already medaled, with Adison Berger taking silver and gold in the 200-medley and 400-freestyle swimming relays, and Talia Fleisig and Hannah Halpern winning gold in dance. 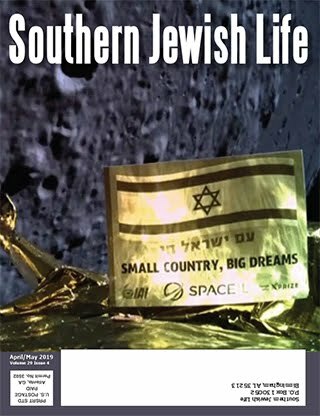 Israel’s Foreign Ministry has decided to move Alabama and Mississippi from the Atlanta Consulate’s territory to the Miami Consulate. Poll shows 80 percent of Louisiana voters completely reject David Duke, though he has more support among younger voters. Meanwhile, suspended Alabama Chief Justice Roy Moore leads a poll of hypothetical gubernatorial candidates in Alabama for 2018, but when you add the “second choice” it looks like he will have an uphill climb to put together 50 percent. University of Alabama System Chancellor Robert Witt was honored by Zeta Beta Tau at their international convention in Atlanta. While he was president of the University of Alabama, he oversaw efforts to increase Jewish enrollment, and at the 100th anniversary of Alabama ZBT he was made an honorary member. 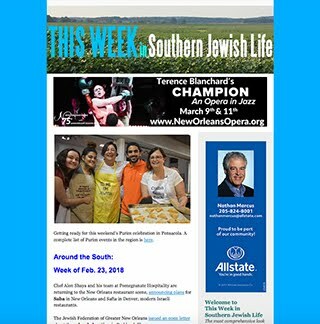 Limmud New Orleans announced that the next Limmud weekend will be March 16 to 18, 2018. This weekend, Limmud is co-sponsoring a scholar in residence weekend at Beth Israel in Metairie with Zoe Jick. Jick is the director of the English Beit Midrash at the Secular Yeshiva at BINA: The Jewish Movement for Social Change. She received a MTS in Jewish Studies from Harvard Divinity School. Jick is a Wexner Graduate Fellow, and an alumna of many Jewish programs including Pardes, Yeshivat Hadar, Kivunim, and EIE. She currently lives in Tel Aviv. On Aug. 5 there will be a community Shabbat dinner following the 7 p.m. service, reservations are required. Reservations are $18 for member adults, $9 for ages 5 to 12; non-members are $25 and $18. On Aug. 6, Jick will lead a text study following the BINA model, following the morning service, at approximately 11:30 a.m.
A quickly-moving Norovirus outbreak sickened over 100 campers and staff at the URJ's Greene Family Camp in Texas. The Cohn Early Childhood Learning Center at the Levite Jewish Community Center in Birmingham will be having a big wheel race at Cahaba Brewery to raise funds for the ECLC’s Healthy Lifestyle Initiative. While this is a family friendly event, all racers must be adults. Prizes will be awarded to the winners of the race. Each team will be provided a big wheel and will be able to take it home and decorate it however they would like. On Aug. 7 at 2 p.m., the teams will bring their big wheel to Cahaba Brewery and compete. T-shirt sponsors are $500, Big Wheel teams are $150 and a limited number of racer slots are $50. To participate, contact Beth Lovett or Stephanie Salvago at the LJCC. Birmingham’s Bais Ariel Chabad Center is holding a new six-week Jewish Learning Institute course, “Strength and Struggle: Lessons in Character from the Stories of Our Prophets.” The course starts on Aug. 17 at 7 p.m., running for six Wednesday nights. There is also a Thursday option at 11:30 a.m. starting Aug. 18. The course uses Biblical characters as inspiration in overcoming struggles and becoming stronger from them. Gaining perspective through emotion, beating burnout and breaking out of routines are among the topics to be explored. To register, call (205) 253-4408. There is no charge or obligation for those who want to sample the first session. 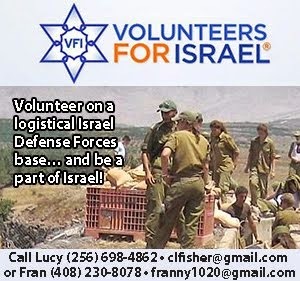 The Jewish War Veterans Post 608 will host their next meeting on Aug. 7 at 10 a.m. in the Levite Jewish Community Center Board Room in Birmingham. Rabbi Barry Leff, interim rabbi at Temple Beth-El this year, will speak on “Taharat HaNeshek: Purity of Arms, the Israeli Defense Force's Doctrine of Ethics.” Leff served in the U.S. Army Security Agency from 1972 to 1975. The meeting, which had originally been announced as later in the month, is free to the community. There will be a light brunch of bagels, cream cheese, coffee and water served. 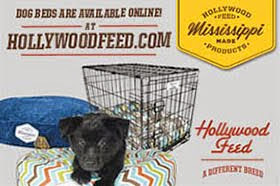 Reserve to Donna Berry, (205) 879-0416. Sam Tenenbaum will sing the National Anthem at the Birmingham Barons game on Aug. 4. The next Torah On Tap with Rabbi Steve Silberman of Ahavas Chesed in Mobile will be on Aug. 4 at 5:30 p.m. at Alchemy Tavern. Birmingham’s Collat Jewish Family Services states that the summer slowdown has hit the CJFS Food Pantry. Especially needed are high-protein items such as canned tuna, salmon or chicken; canned (not dried) beans, peanut butter and soup, but all shelf-stable foods are welcome. Taking advantage of sale items is a great way to extend the mitzvah. The CJFS Food Donation Box is in the Levite Jewish Community Center lobby, and the food pantry is at the CJFS office. 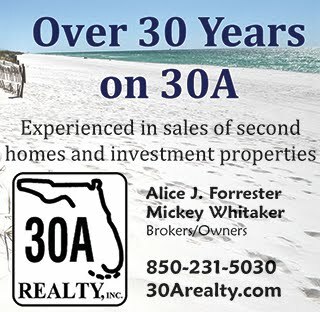 To help, contact Jennifer Nemet at (205) 879-3438. Temple Beth-El in Pensacola will have its ninth annual no limit hold’em poker tournament on Aug. 20. Doors will open at 4:15 p.m. with play starting at 5 p.m. Rebuys are available until 7:15 p.m. Registration is $100 in advance for the first 100 participants, $110 at the door. Rebuys are $100. Registration and rebuys are for $3,000 in chips, with a one-time $5,000 add-on at 7 p.m. for $100. Blinds start at 25/50, going up every 45 minutes until 7 p.m., then every 30 minutes until 9 p.m., every 20 minutes after that. There will be free food and a cash bar. Non-cash prizes go to the top nine finishers, including a Large Green Egg for first place and a large flat-screen television for second place. The Pensacola Jewish community will have a farewell to Tal Itzhakov, who has been the community Shlicha for the past year. Shir Chadash in Metairie will have Shabbat services and dinner to welcome Rabbi Deborah Silver on Aug. 5. Services will be at 6:15 p.m., with dinner to follow. Reservations by July 29 are $12 for adults, $6 for ages 4 to 12, $40 maximum per family. Vegetarian options are available and must be requested when making the reservations. Shir Chadash will also have a minyan and men’s club breakfast on Aug. 7 at 9:15 to welcome Rabbi Silver. 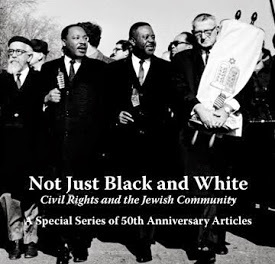 JNOLA and the Jewish Community Relations Council of New Orleans, part of the Jewish Federation of Greater New Orleans, will partner with the ADL on “Reflections on Law and Race: a Candid Discussion on Public Safety” on Aug. 4 at 6:30 p.m. at the Ashe Cultural Center, 1712 O.C. Haley Blvd., New Orleans. This event will highlight three area experts, who will be speaking on race relations and law enforcement from three different perspectives, especially in the aftermath of the shooting of Alton Sterling, followed by the killing of three Baton Rouge police officers. 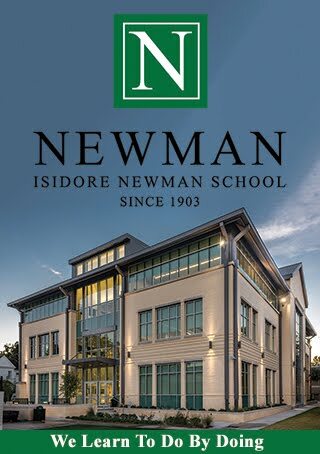 The speakers are Marjorie Esman, Executive Director of the ACLU; Raphael Meyers, Criminal Investigator for Louisiana State Police; and Ethan Ashley, Director of Community Engagement at the Urban League of Greater New Orleans. The evening will include comments from the speakers, a Q and A, and an open discussion. RSVP here. The New Orleans Synagogue Softball League will have its playoffs on Aug. 7 at LaSalle Playground at 9 a.m. In the semi-finals, Gates of Prayer will meet Touro, while Shir Chadash will play Beth Israel. The championship game will be approximately 10:30 a.m.
JNOLA and Moishe House will have Expedition Jew Orleans, a Jewish New Orleans bus tour, led by Julie Schwartz. There will be breakfast at 9:30 a.m. on Aug. 21 at Audubon Park, followed by the tour from 10 a.m. to 1 p.m. Cost is $10 and reservations are due by Aug. 15. Rabbi Peretz Kazen is leading a series of weekly learning experiences about contemporary issues at Chabad in Baton Rouge. The Jewish Learning Institute series began on July 26 with ‘Once Upon a Rabbi: An Overview of Rabbinic Ordination.” Upcoming topics are “A Clever Opponent: Battling the Evil Inclination” on Aug. 9, “The Case for Mezuzah” on Aug. 16, “Better Than Perfect: When the Righteous Fail” on Aug. 23, and “Beware of Blood: What’s so Bad about Animals’ Blood?” on Aug. 30. Registration is required and can be done on the Chabad website. Classes are free but there is a required textbook, which is $18. Beth Shalom in Baton Rouge will have a Shabbat service and oneg welcoming Rabbi Natan Trief, Aug. 5 at 7 p.m.
New Orleans attorneys Sam Winston, Jonathan Friedman and Rose Sher, have been busy developing and planning with their Israeli counterparts in their Partnership 2Gether sister city of Rosh Ha’Ayin a series of video conferences to discuss and highlight American and Israeli law. “American Law Structure and Practice” is the first in a series of video meetings that will take place over the next 12 months. Future video conferences will deal with Israeli law, military law, religious law and structure. The first video meeting will take place on Aug. 8 at 8:15 a.m. at Jones Walker, LLP, and will include a light continental breakfast. To RSVP, e-mail here. The next Morris Bart Sr. Lecture Series event at the Uptown Jewish Community Center in New Orleans will discuss HIV in New Orleans. Narquis Barak, a Harvard-trained anthropologist, is coordinator of the National HIV Behavioral Surveillance Project in New Orleans, one of 20 metro areas involved in the study. At the 11:45 a.m. talk on Aug. 8, she will discuss populations at high risk for HIV in New Orleans and the social, economic, and political factors that affect behavioral risk. She will also present findings from research conducted from 2009-2015 on injection drug use and opiate overdoses in the city. Lunch will be available with reservations by Aug. 4. There is no charge for members, $10 for non-members. The New Orleans Jewish Community Center will have Free Yoga in the Park on Aug. 7 at 8 a.m., at Audubon Park at the corner of Magazine and Exposition. JCC yoga instructor Kelly Bond-Osorio will lead Neighbor Namaste, a beginner-friendly morning vinyasa practice outside. All levels and abilities are welcome. Neighbor Namaste is free and open to the public. Children and dogs are welcome as long as they are supervised. Jewish Family Service of Greater New Orleans is offering a structured 4-week session to help identify, manage and alter unhelpful thinking patterns. Through Cognitive Behavioral Therapy, participants can build awareness and recognition of negative thinking to respond to challenging situations in a more effective and efficient manner. This group will meet Wednesdays at 4 p.m. from Aug. 10 to 31, at the JFS office in Metairie. The cost is $225 for an individual assessment, plus 4 group sessions. Sliding scale fees based on household income are available. To register, contact Lauren Miller, LMSW by calling (504) 831-8475 ext. 163. Mind Matters at the Uptown Jewish Community Center in New Orleans is enrolling for the fall. The group is designed specifically for those concerned about their memory. In this boot camp for the mind, participants will discover techniques to improve memory, participate in stimulating discussions and learn from others undergoing similar challenges. It runs from Sept. 13 to Dec. 6, Tuesdays from 10 a.m. to 2 p.m. For more information or to register, contact Allison Freeman, Mind Matters Director, at (504) 897-0143. Gates of Prayer Sisterhood in Metairie will host a Family Havdalah, Mitzvah and Movie Night on Aug. 6 at 6 p.m., to assemble school supply bags for underprivileged children. Pizza and snacks will be served, followed by a screening of “Zootopia” while adults schmooze. Cost of entry is school supplies. Gates of Prayer in Metairie announced it will start hosting the monthly meetings of PFLAG on the second Thursday of each month at 7:30 p.m., starting Aug. 11. Monthly meetings are a way for parents, family and friends of lesbian, gay, bisexual, and transgendered people as well as members of the LGBT community to meet in a loving, non-judgmental, confidential and understanding environment. Anyone in the community is welcome to attend. 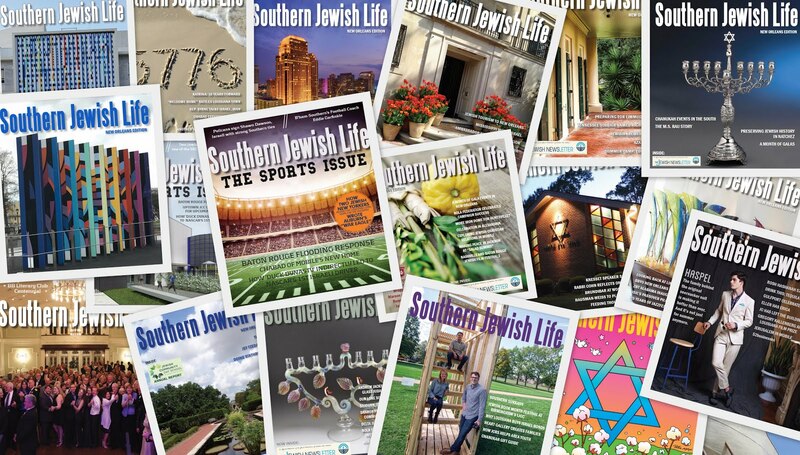 The joint Reform summer services in New Orleans have shifted to Temple Sinai for August. Jewish Community Day School in Metairie has a unique opportunity for its upcoming 2016-2017 school year. Through a generous donor’s contribution, one 2nd grader and one Kindergartner will each receive a 50 percent tuition discount. Eligibility is restricted to any child new to the school, entering Kindergarten or Second Grade, with synagogue membership. Email to learn more. Beth Israel Sisterhood in Jackson will have its annual Membership Tea on Aug. 14 at noon; contact the office for details.